Estonian violinist Mari-Liis Pakk has appeared around the world as soloist and chamber musician. A laureate of numerous international competitions, she has been heard in concert in Austria, Finland, and Germany as well as throughout the Baltic states and the U.S. Ms. Pakk has performed as soloist with orchestras across her native Estonia as well as with the Meadows Symphony in Dallas and, as winner of the European String Teachers Association competition, gave a solo recital at the Conservatoire National Superieur de Musique in Paris. She has as well given concerts throughout the Netherlands as a two-time recipient of a full scholarship to the International Holland Music Sessions and has appeared at festivals including the Salzburg Mozarteum and Burg Feistritz. A graduate of Tallinn Music High School, Ms. Pakk holds graduate degrees from both Southern Methodist University and Temple University, where her primary teacher was Eduard Schmieder. She is a core member of the iPalpiti Orchestra of International Laureates, under Schmieder’s direction, in which capacity she has appeared at the first International Chamber Music Festival of Eilat, Israel and in Jerusalem with violinist Ida Haendel and at Carnegie and Disney Halls, as well as in chamber music live on KMZT (Los Angeles) radio. Ms. Pakk has played chamber music with artists including Luis Biava, Andres Diaz, Nathaniel Rosen, and Jeffrey Solow. 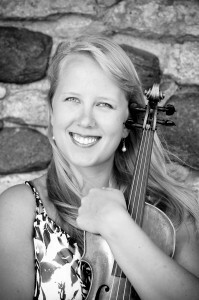 Among her many artistic endeavors, Ms. Pakk is committed to the dissemination of the wide variety of little-known repertoire of her native Estonia as well as to the enlargement of the contemporary literature for violin/viola and cello duo alongside her husband, cellist Jason Calloway. Among her recent performances may be counted recitals of contemporary music at the Summer Solstice Festival of Philadelphia’s Kimmel Center for the Arts; Princeton University; tours of Estonia and Serbia with Trio Andante; and a program of violin and cello duos, featuring a newly commissioned work by Yehuda Yannay, at the University of Wisconsin-Milwaukee. Ms. Pakk is as well a committed teacher of violin and chamber music, having given masterclasses at numerous institutions and maintained a private studio at the Leopold Mozart Academy until 2010. She is a native of Tartu, Estonia.